Heart pounding, palms sweaty, legs unstable as you slowly lower onto one knee to ask a special someone a very important question. They say yes, there are tears (of joy) and then the fun stuff. Champagne, telling family and of course your social media announcement of choice (hello Gen Y). But hold up a minute. As an adviser, this is something that puzzles us on the regular. We have many awesome members who share the goal of saving for a wedding or honeymoon. However, none to date that said “oh yeah, I need to save $ for an engagement ring”. As a happily partnered female, this double intrigues me. I know my boyfriend and I have a banking structure in place that not even the smallest of dollars could slip through. Unless he plans to propose with a two-dollar shop ring, I am fascinated to know what kind of wizarding magic he is putting on our finances. The PW team have heard many stories of financial wizarding success, but an equal number of stories sharing the stress of an engagement ring purchase. I mean, hell, it’s a lot of pressure to find the right ring, hide it and plan your proposal without also needing to be a financial mastermind. So to that end, we will share with you the sneaky financial strategies we have seen employed over the years…. Secret cash savings – look I’ll be honest, I think this only works if you don’t have joint bank accounts or a strict budget in place. If getting down on bended knee is on the horizon, we hope this helps alleviate some of the pressure. 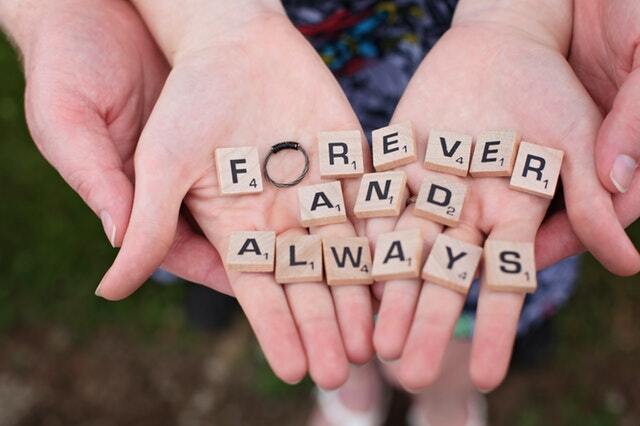 To those planning to ask their loved one to become their forever-bae, we wish you well!